01.03.2013 (Hvino News). Today Hvino News is pleased to launch its Russian language version officially. Hvino-Novosti (Hvino-Новости) is the Russian arm of Hvino News, which since last spring has gained recognition as the first and only news site on Georgian wine with daily updates. Hvino-Novosti is published in cooperation with the National Wine Agency of Georgia. 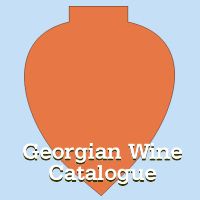 The new information resource will contribute to international promotion of Georgian products to Russian speaking audience, especially in the view of resumption of Georgian wine export to Russia. According to the editor of Hvino-Novosti, "We have created a single, easy-to-use source of information on Georgian wine industry for the international English-speaking audience. Now we are expanding our target group to the multi-million Russian-speaking audience. It is important to note that content of English and Russian sites are not identical. In fact, we have created a new information channel: Nvino News and Hvino-Novosti are actually two independent resources, targeted at different types of readership. However, a common base for both of them is information of National Wine Agency, with which we are partnering. We believe this partnership is fundamental for ensuring high quality of our information". As usual, publication of information materials from professional wine market players is free. Press releases and articles from winemakers, distributors, wine experts, and other specialists in Russian are welcome. Hvino-Novosti has become already the third accomplished phase of Hvino.com project, which is conceived to become an integrated information system on Georgian wine and tourism, including on-line database of producers, distributors and retailers with easy access to Georgian products from around the world. In the future, the system will complemented by a high-quality printed magazine.